What do we mean by terms like accuracy, phrasing, and rate? Fluency can be a hard topic for kids to understand. 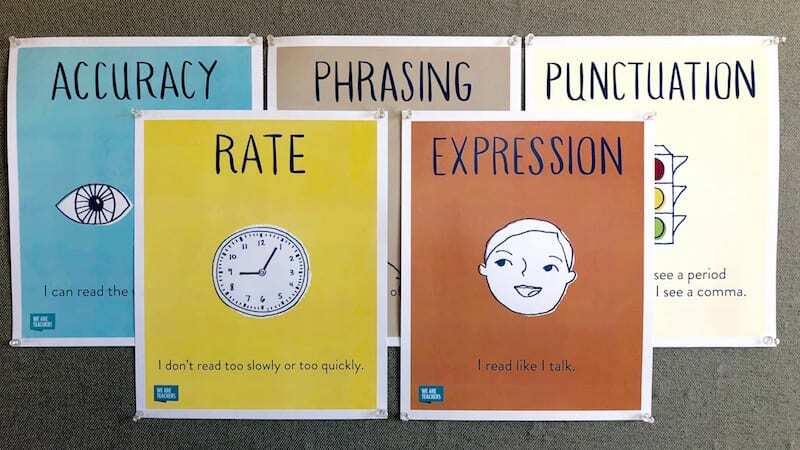 That’s why we created these reading fluency posters for your classroom. 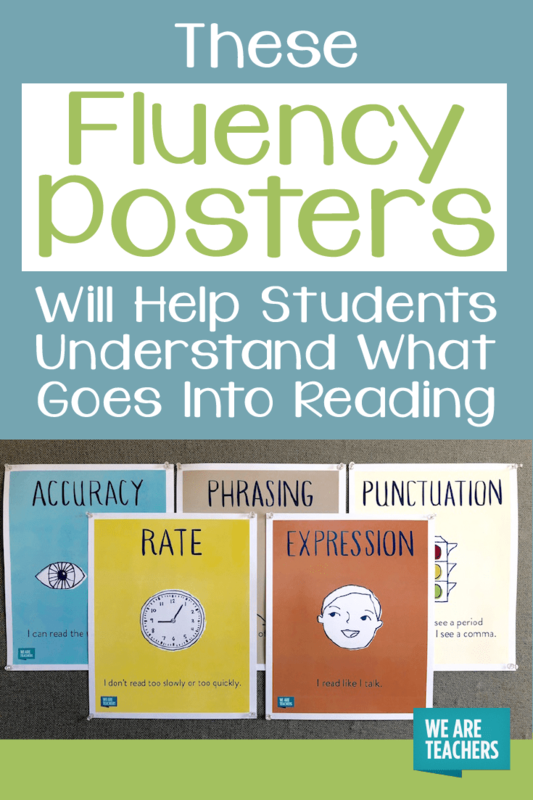 Each poster features a kid-friendly definition of one of the elements of fluency. 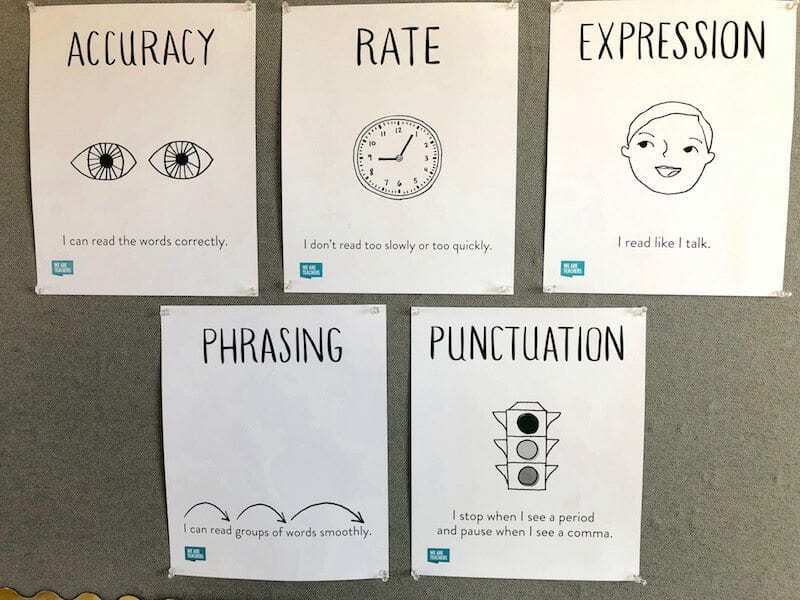 We included posters for accuracy, rate, phrasing, expression, and punctuation. Try hanging the posters in your guided reading area for students to refer to during your lessons. 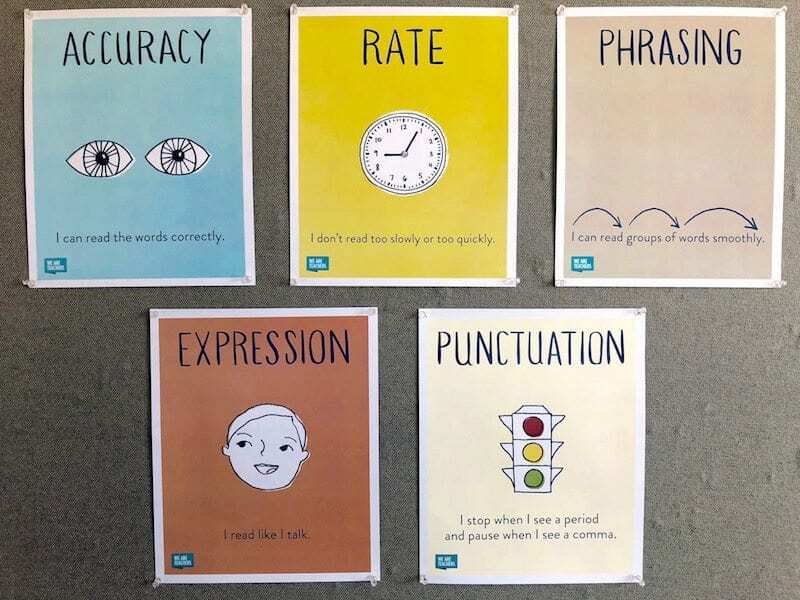 To get color and black-and-white versions of our fluency posters, just submit your email here. Use our free posters to help students understand everything that goes into fluent reading. Download in color or in black and white. Print the black and white versions on colored paper to save on color printing.